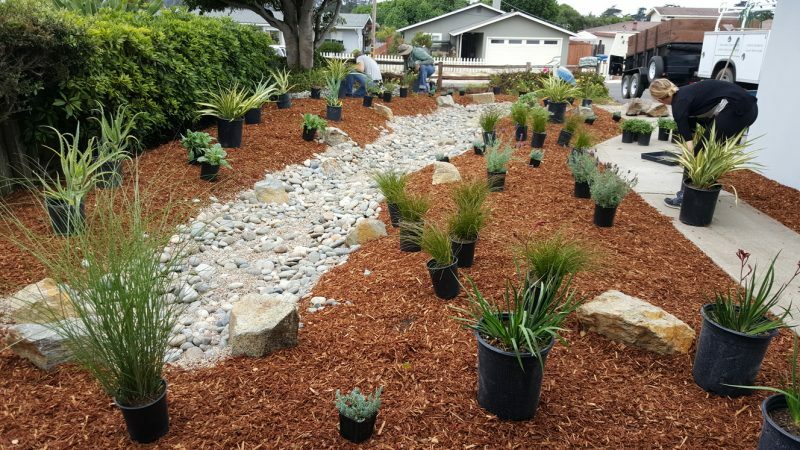 This Los Osos front yard was transformed from weeds and sand into a water saving rain garden. 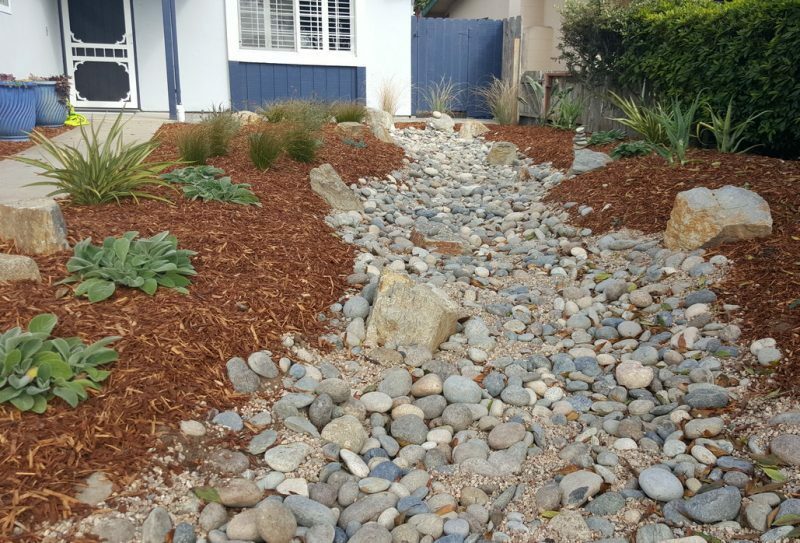 By capturing rainwater in the dry creek bed and letting it permeate to the surrounding plants, this landscape requires very little irrigation. 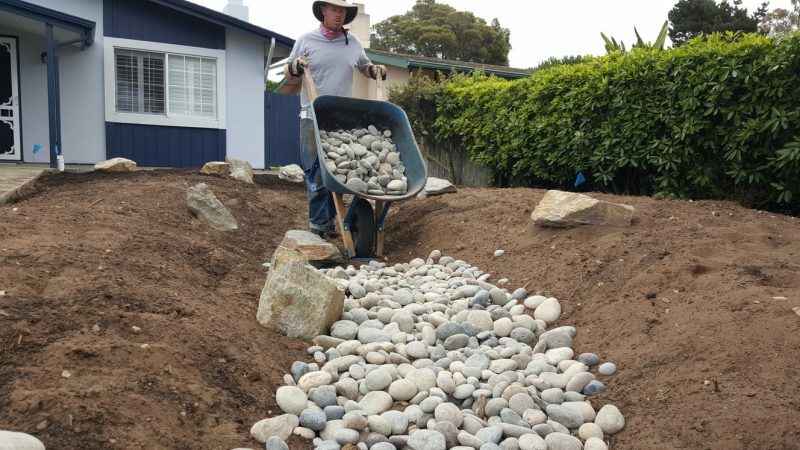 Our clients, Melodianne and Patrick, wanted a colorful garden that would be low-maintenance and not need much water in the summer. 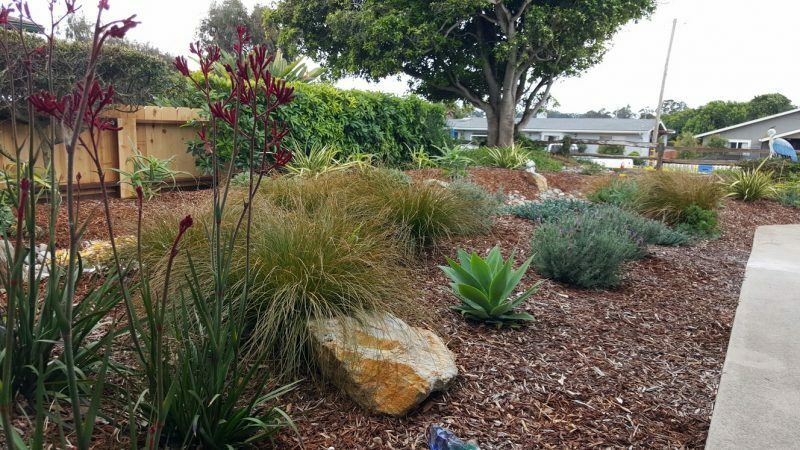 By using native plants and passive rain harvesting techniques, they now have a lovely new landscape that was custom made to meet their needs. Luke and Melody were a joy to work with. 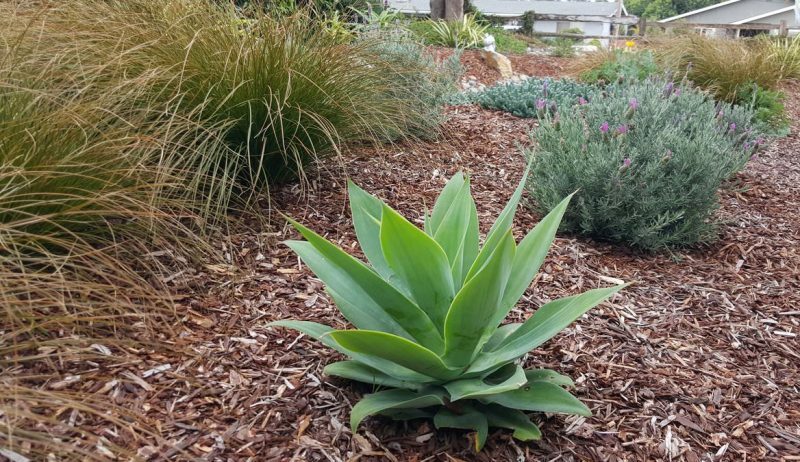 They respected our budget and came in with a beautiful design which was executed perfectly. 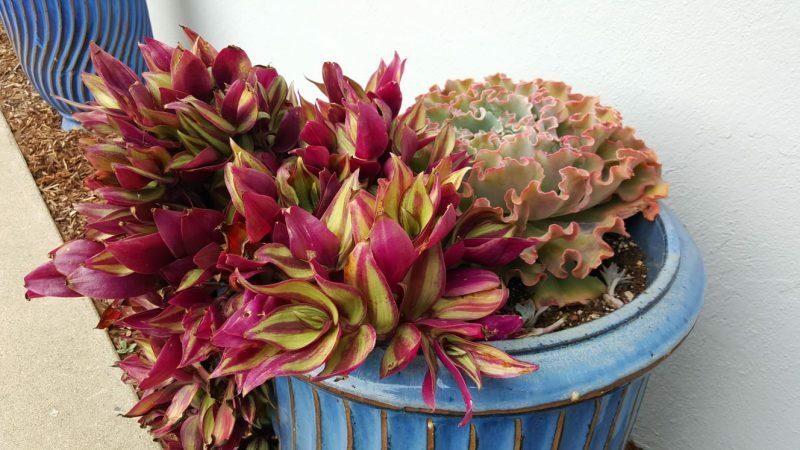 Their attention to detail and willingness to go the extra mile is very much appreciated. 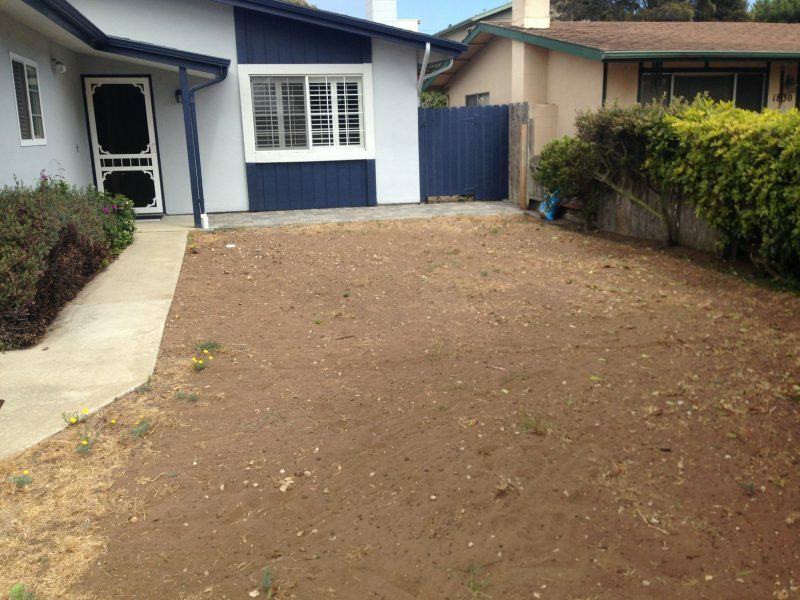 They gave us a schedule of the work to be completed and they kept to that schedule. I would highly recommend them.